Superheroes, Mutants and Magic: What’s the difference? In celebration of Virtual FantasyCon, Traci Loudin will be taking over with the following guest post. How could we have an event known as FantasyCon without explaining a few of the elements involved? To find out more about FantasyCon, click on the link above and heads up, I will be participating on November 1st, Sci-Fi Sunday, as a blogger. Now onto this lovely guest post! What’s the real difference between superhero powers, mutants, and magic wielders? Superheroes always need a good origin story. But what’s the origin of the word “superhero”? Hero comes from the Latin heros, with roots back in Ancient Greek, wherein hero translates more to demi-god. Super is a prefix from Latin, which roughly means beyond or above. Above and beyond a demi-god! The Online Etymology Dictionary lists the first use of “superhero” as being from a 1908 translation of Nietzsche with the prefix super + hero. For the purposes of a fictional hero more similar to the modern idea of a superhero, though, when did we first conjure up a superhero? One that they forgot to mention is Tarzan, the fictional character created by Edgar Rice Burroughs (first published in 1912, on film by 1918), one of my favorite authors as a child. John Carter predates Tarzan by a year, and could also potentially count. As an ERB fan, I think this is pretty awesome, considering I grew up reading ERB’s scifi and Tarzan books. It turns out I’ve always been a fan of superheroes! Here’s the copy of Zorro I enjoyed as a teen. Phantom was the first movie I remember actually getting hyped for months in advance. All of these early superheroes laid the foundation for Marvel and DC Comics. Marvel started in 1939 as Timely Publications, transforming into Atlas Comics. They became Marvel in 1961 while debuting the Fantastic Four. DC Comics also got started in the 1930s. So, coming back around to my original point… what’s the difference between a superhero, a mutant, and a magic user? So my thinking is that perhaps the origin story makes all the difference, not the type of powers they wield. A superhero is often created, not born. Ones like Spider-Man suffer from some external force that bestows powers. 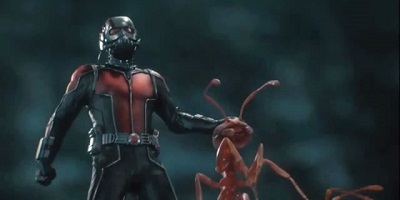 But even superheroes without superpowers, per se, also tend to be created in some way, like Ant-Man. Batman’s circumstances made him who he was. Even Superman is created, not born, as it’s our sun that causes him to be so powerful. Mutants tend to be born, not created, and their powers cannot usually be taught to others who don’t share the same mutation. Even though Wolverine is partially created, his true power is healing, not his wicked claws. Magic is often learned through spellbooks, chanting, enchantments, or speaking the right spell. In many books, however, certain people are born with a gift for magic. This makes them more like mutants in a way, except they can learn to do the same magic that everyone born with magic can do. Contrast that with mutants, who tend to be born with one or two distinct powers without the ability to learn others’ powers. These definitions break down in most universes at some point. However, if superheroes, mutants, or magic-wielders are established within a universe, any outliers will be grandfathered in. Even though there are plenty of superheroes that use magic in the Marvel universe, for instance, most people still think of them as superheroes, not wizards or mages or some such. Superheroes are created. Mutants are born. Magic wielders are taught. Of course, awesome characters like Muad’Dib break this mold. He’s born, created, and taught. Perhaps that makes him the best fit for the true meaning of superhero: beyond a demigod. What do you think? Contact me on Google+ or leave a comment below and tell us if you have a different definition. Traci Loudin is the author of The Last of the Ageless, a post-apocalyptic adventure featuring a shapeshifter dedicated to preserving fading species by taking their forms. She’s a participating author in Virtual FantasyCon, and you can also find her at www.traciloudin.com. The Superheroes Wiki takes this one step farther and compares the differences between gaining superpowers through mutation, magic, divinity, technological augmentation, science, extraterrestrials, and training. 17th Shard: “Modern” magic: wizards or superheroes?